From there it enters a heat exchanger (condenser) where it loses energy (heat) to the outside, cools, and condenses into its liquid phase. 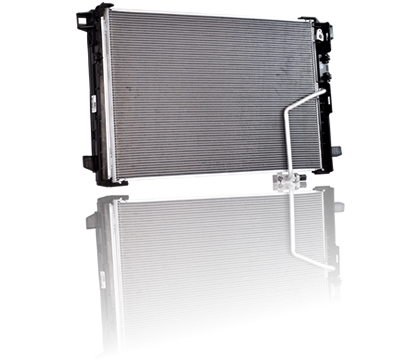 The liquid refrigerant is returned to another heat exchanger (evaporator) where it is allowed to evaporate. A metering device regulates the refrigerant liquid to flow at the proper rate.